The price point for Apple’s HomePod wireless speaker was somewhat contentious when it was first announced, however new reports show that the Cupertino company is building the speaker with smaller margins that its competitors. 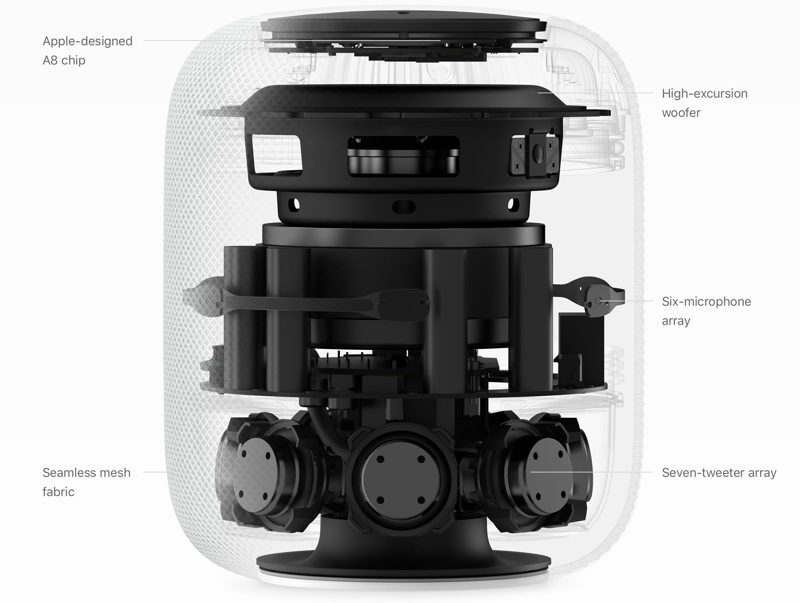 Analysis from TechInsights (via Bloomberg) explains that while Apple’s Siri-driven HomePod wireless speaker retails for $349 USD, the components that go into it cost an estimated $216, suggesting Apple is making 38% margin on its latest product. Essentially, this means that at a $349 USD price tag and factoring in additional costs for marketing over the $219 cost price, the HomePod is not bringing Apple much money. Apple’s margins are normally huge, but they’re apparently lower for the HomePod. By comparison, the iPhone X costs Apple around $357.50 USD and is sells for a whopping $999. As per the report, the HomePod components, including the tweeter microphones, woofer, and power management unit together costs around $58 USD. Apple’s A8 chip and its AI voice assistant Siri cost $25 USD. Along with this, the animation for Siri and the lighting on the top are estimated to cost around $60 USD. The exterior body, packaging, manufacturing and testing cost another $43 USD. Despite the speaker’s high price point, the HomePod is less profitable for Apple than other smart speakers on the market. According to the report, the Google Home sells at a profit margin of 66 percent and the Amazon Echo for 56 percent as compared to Apple HomePod’s 38 percent. A smaller focus on sound quality is one possible reason as to why both Home and Echo have a higher profit, as Apple has invested a lot to make the HomePod sound great. Apple CEO Tim Cook, regarding component breakdowns, said three years ago that he “has never seen one that is anywhere close to being accurate” so that’s something to obviously keep in mind when discussing HomePod’s bill of material.